Drivers across the Canadian city of London can now pay for parking at more than 3,100 spaces across the city — including all municipal parking lots and on-street spaces — using a mobile app that lets them “seamlessly search, pay for and top up parking from their phone or tablet”. The service is being rolled out by the City of London. Transactions made using the Honk app are registered to the licence plate on the driver’s vehicle to allow a real-time update to be sent to parking enforcement officers to let them know whether or not the driver has completed payment. The app also notifies users when their time is about to expire and allows them to buy additional time from their smartphone. 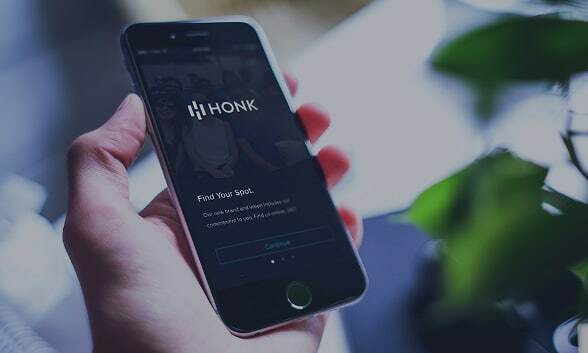 “Once you’ve downloaded the app, you can sign up with four pieces of information — email address, mobile phone number, licence plate and payment information,” says technology provider Honk Mobile. “You’ll need a valid Visa, Mastercard, American Express, Visa Debit, Masterpass or PayPal account to pay for your parking session — you can add as many payment methods as you’d like.